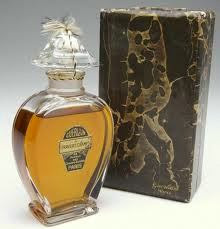 Flacon created by Baccarat to house Candide Efflueve, A Travers Champs and Guerlinade. Also produced by Pochet et du Courval in a very small quantity for export to the USA. Baccarat flacon #475.